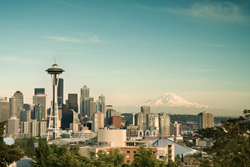 On the Go Moving and Storage, a professional moving and storage company serving Bellevue and Seattle Areas, has released a new article giving movers the key to settling into a new city. The moving and storage professionals at On the Go Moving and Storage know that moving isn’t only about packing and unloading. Although moving can be very exciting, the idea of settling in and meeting new people can be a little intimidating. In their newest article, On the Go Moving and Storage shares 5 surefire tips to settling into a new city, even if movers don’t know anyone. The first tip from the Bellevue and Seattle mover is to “Say Yes.” Meeting friends, a significant other, or getting a job are all very important when in a new city. “Get out there! Say yes to every invitation and opportunity, because you don’t want to miss out!” says the professional moving service. One of the best ways to meet new people is joining groups suggests On the Go Moving and Storage. The article suggests the mover think of something they really enjoy doing or something they have always wanted to try and finding a group that fits that interest. Movers would be surprised how many groups are out there that would fit their interests. Moving to a new city is hard but by following the simple tips from On the Go Moving and Storage, movers should feel right at home in no time. On The Go Moving is a professional moving service committed to providing reliable, efficient, moving services for individuals, families, and businesses in the greater Seattle area. Their emphasis on their effective and careful moving strategies has resulted in great service for an extensive amount of satisfied clients. For more information about On The Go Moving’s services, simply visit their website at http://www.onthegomoving.co or call them at 425.761.8500.